Kathryn Flynn, author of Cooking for Fertility: Foods to Nourish Your Fertile Soul, studied with Paul Pitchford, author of Healing with Whole Foods and has worked extensively with Dr. Randine Lewis, author of The Infertility Cure and The Way of the Fertile Soul, to develop the Fertile Soul’s integrative nutrition program for reproductive health. Kathryn provides individual nutritional counseling to men and women worldwide, with the intention of enhancing reproductive capacity naturally through a holistic approach that includes lifestyle changes, relaxation techniques, exercise and healing foods. 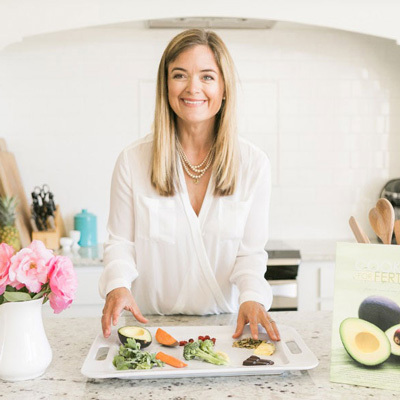 Kathryn is the founder of Fertile Foods, a website intended to educate men and women about food and lifestyle habits to support a healthy pregnancy. Kathryn offers in-depth nutritional consultations by phone and email at Acupuncture Denver. Please see our dietary therapy page for more details and to sign up for a consultation!